The New Orleans Pelicans will host the Indiana Pacers on Monday night in the NBA. The Pelicans (23-30, 15-9 home) have seen their season virtually end last week when their star man Anthony Davis requested a trade. With Davis now away from the team, and with a plethora of other injuries as well, New Orleans has no chance to reach the playoffs in the West, and will hope to lose as many games as possible in order to get a good draft pick. The Pelicans have lost 5 of their last 6 games, including the last two. The Pacers (33-19, 15-12 away) also suffered a big blow last week, with their best player, Victor Oladipo, suffering a season ending injury. 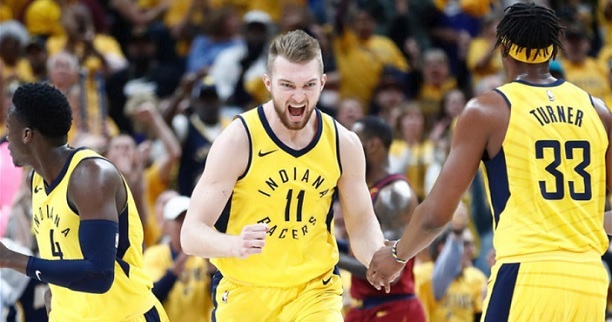 That was a big blow to Indiana`s hopes for this year, but this is a good, well coached team, which is still expected to finish at least Top 6 in the weak Eastern Conference, even without Oladipo. The Pacers struggled a bit in the first few games without him, but are coming after a solid win away in Miami. Bet on Pelicans vs. Pacers and claim your 100% (120 Euro) free bet at LSbet now! Team news: The Pelicans will miss Davis, Randle, Mirotic, Moore, Payton and Bluiett – that`s 4 starters! The Pacers will be without Oladipo, while McDermott is questionable. The Pelicans haven`t played that bad lately without Davis, despite losing 5 of their last 6 games. Many matches were close against solid opposition, and they did beat the Rockets on the road. However, chances are their performances will start decreasing, especially with the injuries mounting up one after another. They just don`t have the quality, and big performances from low level players will not last. Tonight against the Pacers they will be as shorthanded as ever. The Pacers are a weaker team without Victor Oladipo, but they are still a competent, playoff caliber bunch, as they don`t rely on one individual player – instead, they are well organized, deep, and well coached. Indiana has a good record away from home and should take advantage of the circumstances to take care of this decimated Pelicans team here. At the moment, New Orleans is right there with the worst teams in the league in terms of sheer talent. My tip will be the Pacers to win. Odds are dropping on this bet. Prediction: New Orleans Pelicans – Indiana Pacers 105 – 111.